At Ray Catena Land Rover Marlboro, you’ll find an impressive selection of new and pre-owned vehicles on our lot. If you’re a Marlboro, Freehold, or Englishtown driver, there’s a lot to discover at a Land Rover dealer near me. We’re committed to finding the right vehicle for your needs, providing convenient financing terms, and servicing your car for years to come. If you have any questions for our staff, we always love to hear your feedback. Contact us today or set up a test drive with us. Whether you’ve driven a Land Rover before or are exploring these standout vehicles for the first time, we’re here to be your guide through the loan or lease process. A legendary Land Rover offers distinct style, elegance, and powerful performance. 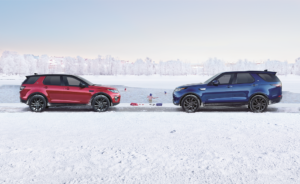 The Range Rover, Range Rover Sport, Discovery, and Discovery Sport are well-respected cars in the industry, and appreciated by the people who drive them. Our inventory of new Land Rover models brings a lot to the table, but there are other ways to experience the luxury of these cars. Buying an Approved Certified Pre-Owned Land Rover is one of them. Every certified pre-owned vehicle passes a 165-point inspection of the engine, interior, exterior, brakes, and much more, to ensure it’s road-ready. After discovering the Land Rover you can’t live without, it’ll be time to talk about financing. Our professional financing team will explain the key advantages of both a loan and a lease, to help you decide which best fits your lifestyle. After making an investment in a Land Rover, it’s critical that you take care of it. To protect your car, we recommend maintenance at different intervals. That maintenance will be handled in our service center, where our Land Rover technicians are standing by, ready to assist you. From the all-important oil change to keep the engine lubricated, to the brake pad replacement that allows you to stop the car safely, we’re here for you. Schedule service on our website now. 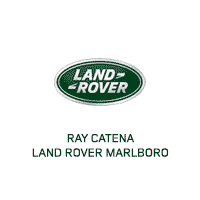 Whether browsing our website or stopping by our location, there are plenty of ways to get in touch with Ray Catena Land Rover Marlboro. Make your way from Marlboro, Freehold, or Englishtown to our dealership, where you’ll receive professional service each and every day.